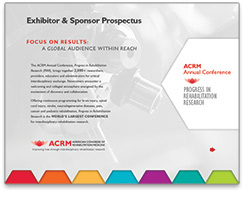 Partner with ACRM and REACH influencers and decision-makers in top rehabilitation hospitals, academic medical centers and government agencies around the world. 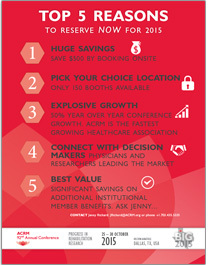 Now accepting reservations for the ACRM 92nd Annual Conference, Dallas Texas 25 – 30 October 2015. 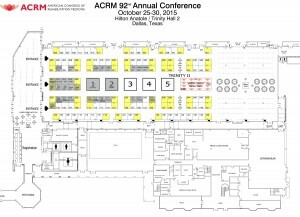 Reserve your booth today to lock-in to your first choice location for maximum visibility and traffic. Contact: Jenny Richard, Director of Member Services & Community Relations at +1.703.574.5845 or complete the INQUIRY FORM below. For details, contact Jenny Richard +1.703.574.5845 OR complete the contact form above.